Adaptive Creations – This site created a product that enables individuals to engage in one of America’s favorite outdoor activity: fishing. This brilliant and innovative technology gives anyone the ability to fish in the great outdoors. American Association of Adapted Sports Programs (AASP)- this site is dedicated to developing and supporting a standardized structure for school-based athletic competition for students with physical disabilities. Autism on the Seas - Dedicated to making vacation cruising dreams come true for families, children and individuals living with Autism, Down Syndrome, and other related disabilities. Beneficial Designs – This organization believes all individuals with disabilities should have access to physical, intellectual, and spiritual aspects of life. They offer assistive technologies to enable users of varying abilities to take part in recreational and leisure activities. Challenger Little League Division – This organization gives children and youth with physical or intellectual disabilities the opportunity to enjoy playing the game of baseball. The program is for children and youth between the ages of 4 and 22 years-old. Find a league near you! Disabled Sports USA - Their mission is to provide national leadership and confidence, and fitness through participation in community sports, recreation and educational programs. East Coast Greenway - A shared use trail system spanning 2,900 miles from Canada to Key West, Florida. The trail will provide a safe, low-impact and accessible opportunity for children and adults with physical abilities to explore the eastern seaboard. National Parks and Recreation Land Access Pass: A lifetime free pass (available to U.S. citizens who have been medically diagnosed with a permanent disability that severely limits one or more major life activity) that provides access to more than 2,000 recreational sites managed by federal agencies. SITSKI – A site dedicated to individuals with physical disabilities and giving them the opportunity to participate in ski and sport programs. A list for state-wide adaptive ski and sport programs is available here. Special Globe: A site dedicated to giving parents and families of children with disabilities information and resources that give them the ability to plan, book, and go on vacation. The site provides an abundance of information on hotels, destination/vacation spots, and tips on how to make your vacation a successful and safe one. Forums are also provided for sharing information. SPLORE – Changes lives by challenging and expanding one’s notion of ability through meaningful outdoor adventure. Sports Abilities - This site provides a calendar for each state and invites organizations to post their adaptive sports competitions or opportunities. The site also provides a search option by activity. STRIDE - Their mission is to educate and empower individuals with special needs in life changing sport and recreational programs sustain healthy, active and fun lifestyles. The Treehouse Guys – These talented craftsmen design and build universally accessible treehouses for public parks and for private camps and backyards. They are willing to travel nationwide for their clients. Wilderness Inquiry - Offers the opportunity to identify integrated adventures for persons with disabilities. Wilderness Inquiry offers canoe, sea-kayak, backpack, horseback and dogsled adventures around the world to people whose backgrounds vary in terms of physical ability, age, mental capacity and more. Lakeshore Foundation - This program provides a wide range of fitness, athletic and education programs, including aquatics, fitness, competitive athletics and general recreation. 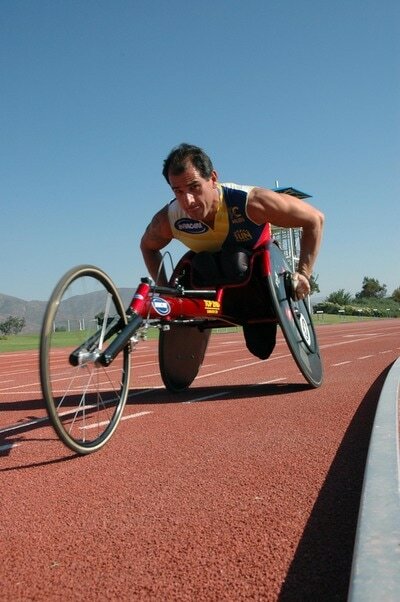 Serves people with physical disabilities, such as, spinal cord injuries, cerebral palsy, multiple sclerosis, stroke, amputation, and visual impairment. 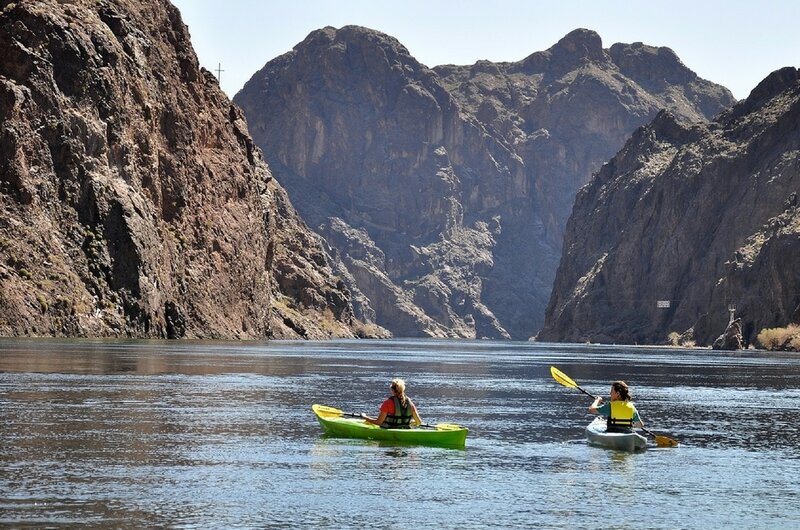 Casa Colina Outdoor Adventures - Empowers people with disabilities by creating opportunities for challenging and exciting experiences in the great out-of-doors. Environmental Traveling Companions - Provides the opportunity of enjoying the beauty of the great outdoors to people with disabilities and disadvantaged youth. Life Rolls On Foundation -Dedicated to improving the quality of life for young people with spinal cord injuries. Their programs include adaptive surfing and skateboarding. U. S. Adaptive Recreation Center – This organization was founded to ensure access to skiing is available to all people with disabilities. Winter programs include skiing and snowboarding. Summer programs include wet and wild water skiing, jet skiing, kayaking, sailing and fishing. Breckenridge Outdoor Education Center (BOEC) - Offers outdoor education experiences throughout the year, both single and multi-day courses, featuring many adventure activities in many locales in the Rocky Mountain and SE Utah region. Challenge Aspen - Dedicated to impacting lives by presenting meaningful recreational, educational and cultural experiences to individuals faced with cognitive or physical challenges. Boxing for Life – Is a non-contact boxing program designed for people with varying disabilities. They're dedicated to improving the quality of life of their clients with adaptive fitness programs that are fun and exhilarating! They are located in Pompano Beach, Florida. Central Florida Miracle Baseball League - This league is designed for individuals of all ages and abilities. It helps build self worth, overcome boundaries, and achieve their dream by participating in America's favorite past-time: Baseball! 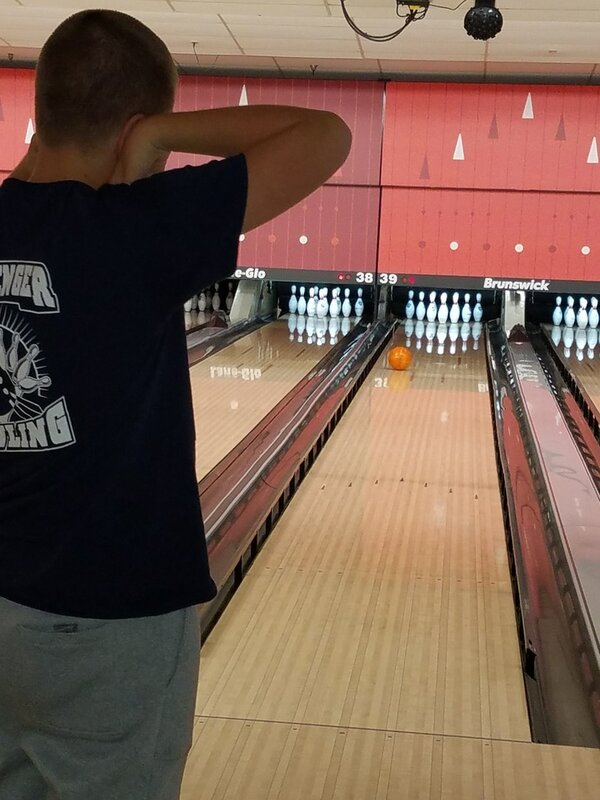 Challenger Bowling of Pasco County - This bowling league is dedicated to including individuals with varying abilities of all ages. The league is long running and throughout the fall, winter and spring seasons. Clearwater Challenger Baseball League - A baseball program designed for the needs of children and adults that live with physical, mental and intellectual disabilities. The athletes get to participate in a sports environment structured for their success. Diveheart Foundation - Their mission is to build confidence, independence and self-esteem in the lives of children, adults and veterans with disabilities through scuba diving, scuba therapy and related activities. Indigo Art Therapy Studio - Their mission is to make art accessible to all individuals - no art skills required! Located in Jacksonville and ready to provide creative fun and care. My Mermaid Swim School – Offers private or in-group swimming lessons and water fitness classes in the tranquility of your home pool, subdivision pool, vacation resort, or at the beach! Adaptive lessons for children and adults with disabilities are also available. Now serving the Pinellas, Pasco, Hillsborough, Manatee, Sarasota, and Charlotte counties in Florida. Sailability Greater Tampa Bay – Their mission is to provide affordable, accessible sailing activities and education to children and adults of all abilities focusing on community integration to improve the quality of life for all involved. Shake-A-Leg Miami - Shake-A-Leg Miami's mission is to use the marine environment to improve the health, education, independence and quality of life for all people with disabilities, disadvantaged youth, and their families. WAVES (Wheelchairs and Veterans Enjoying Summer) Inc. - WAVES offers free fishing and boating to children and adults with physical and mental challenges, including people with autism, multiple sclerosis, muscular dystrophy, spinal cord injuries, traumatic brain injuries, Down syndrome, and all disabled veterans. They operate in Long Island, NY from May to November and in Stuart, FL from November to May. Blaze Sports America – This organizations mission is to change the lives of children and adults with physical disabilities through sport. Provides therapeutic sports and recreational programs for children with varying degrees of physical abilities. I-Skate - Dorothy Hamill's adaptive figure skating program was established at Kennedy Krieger Institute in Maryland so children with disabilities could enjoy recreational skating. The program is open to children from ages 5 to 18. Bridge II Sports - Creates opportunities for physically challenged children and adults to play team and individual sports by providing equipment, developing sports, teams and coaching. Turning Point – This organization was designed to teach people with mobility impairments the skills necessary, and to provide low-cost or free activities. IM ABLE Foundation - The Foundation supports programs and individuals who want to get active through IM ABLE's programs. They purchase adaptive sports equipment and support programs that encourage physical activities. Outdoors for All Foundation - All Foundation provides year-round instruction in outdoor recreation for people with physical, developmental, and sensory disabilities. Programming includes snowboarding, snowshoeing, cross country and downhill skiing, cycling, hiking, river rafting, canoeing and kayaking, day camps, water skiing, rock-climbing, camping and custom events. Please contact us if you know of another resource that can benefit others.